I came across The Complete Southern Cookbook on a recent trip to the bookstore and I’m loving it! It’s packed with over 800 recipes and perfect for the seasonal cook since it is categorized by the featured ingredient. So, when it’s tomato season you can go to the tomato section, and so on. The recipes are familiar, homey, and include readily available ingredients. Real food. 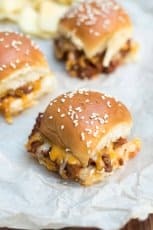 This recipe grabbed my attention since Boy #3 had recently requested Sloppy Joes for dinner. I kind of groan a little at a request like this, I mean, on one hand, opening a can of Manwich and calling it a night definitely has its appeal, but there’s got to be a better way! 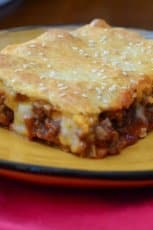 This recipe is not much more difficult and only takes about 30 minutes from start to finish. A fantastic choice for a busy weeknight. Easy, quick, and tasty. The bell pepper and seasonings take it from the kid realm into something the adults will love too. 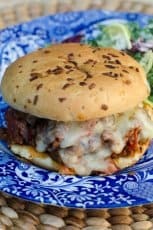 Great served with sweet potato fries and some crisp, cold cole slaw. There are several different brands of Creole or Cajun seasoning out there and lots of recipes to make your own. Use whatever you like best or can find at your local store. The one that I use is McCormick Creole Seasoning which adds great flavor but no heat which is why I’ve added the crushed red pepper here. You’ll need to check your mixture for the level of heat before determining how much crushed red pepper to add. As my kids have gotten older, I’ve slowly increased the amount I use and we are up to one teaspoon per two pounds of beef which adds just the right amount of heat for us. It’s not crazy hot, it’s just right. If you can handle more heat, taste and adjust as desired. Try and find the best bakery type hamburger or kaiser rolls you can get your hands on and put plenty of napkins out. 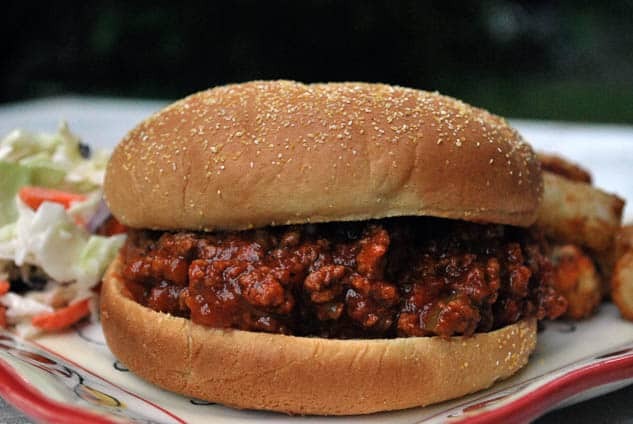 They ain’t called Sloppy Joes for nothing. In a large skillet over medium heat, cook the ground beef, onions, and bell pepper until meat crumbles and no pink remains. Drain well and return skillet to heat. Add tomato sauce, ketchup, Worcestershire, mustard, brown sugar, Creole seasoning, garlic powder, crushed red pepper, and fresh ground pepper. Stir well to combine and reduce heat to low. Simmer 20 minutes, stirring frequently. Serve warm on toasted buns. I have ALL of these ingredients. 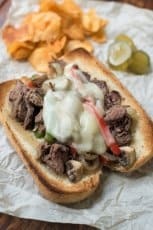 I might have to make this for dinner! LOVE! Valerie, so great to find your blog! It’s Grannyloohoo from the forum. 🙂 I see you are still cooking for your full-of-handsome-guys household. What a great looking blog! Thank you so much Linda. It is great to hear from you. I’ve been a frequent visitor to your blog and I love it!